I have been trying out different skincare products this Spring. My skin has seen improvement as I have been taking care of it; from using a face mask twice a week to steaming my face once a week, and exfoliating on a daily basis (I have oily skin). My acne is almost non-existent, and my acne scars are fading fast, leaving my skin with toned and glowy skin. A beauty product that I have added to my collection is from the Ark Skincare brand. Ark Skincare is a unique beauty product created in England. The Ark Skincare brand is a family of luxurious skincare products that cater to women of all ages. Ark Skincare products are divided into three age segments; 20s, 30s-40s, and 50s and upward. Ark Skincare products uniquely treat skin at every age providing a daily skin regimen that protects and defends. I fall into the 30s-40s category. For the past couple of weeks, I have used the Ark Age Defend Replenishing Moisturizer, and Ark Skin Perfector Hydration Injection Masque and the results have been great. This replenishing moisturizer is formulated for women in their 30s-40s. During this phase, our skin is starting to show signs of aging and fine lines, and wrinkles begin to appear, and some of us notice sensitivity as we encounter external and internal stresses. Age defend boosts elasticity and minimizes irritation for a calm, supple complexion. 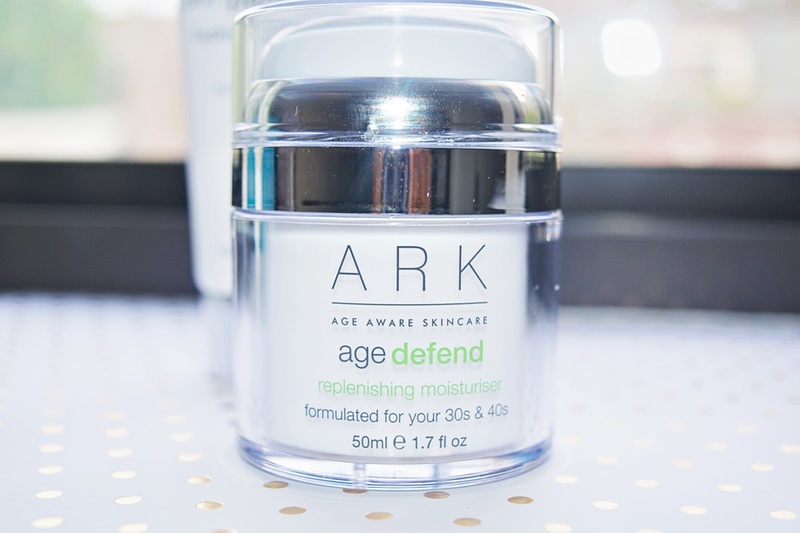 Ark Age Defend Moisturizer is the best for women in their 30s-40s. This moisturizer is packed with Coenzyme Q10 and natural moisturizer agents such as shea butter and olive oil. It contains potential peptides, including Matrixyl. It smoothes out the appearance of wrinkles and diminishes sign of premature aging. **Vitamin A helps keeps skin firm, plump and supple. **Kiwi and Passionfruit lipids are packed with Omega-3 fatty acid to boost skin's moisture. **Blue Lotus, the "sacred flower of anti-aging" is a powerful anti-oxidant and symbol of beauty. I use it in the morning and evening. I apply a thin layer to my face and neck. 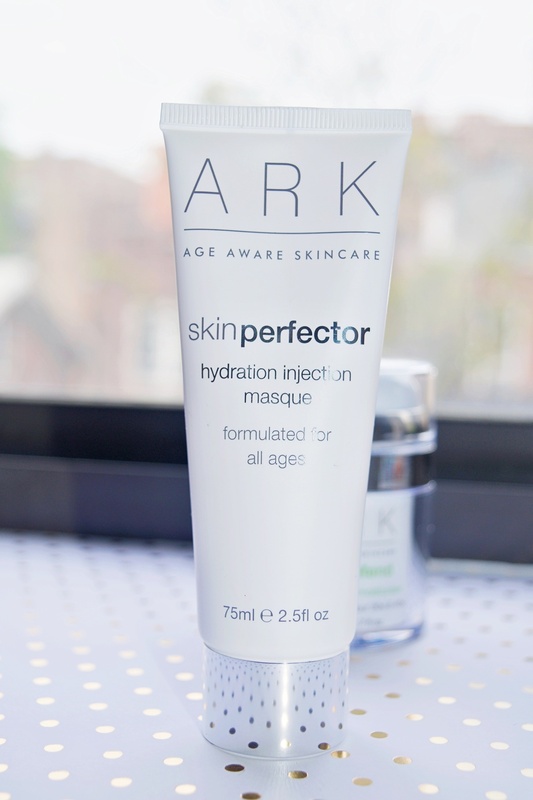 Ark Skin Perfector ~ Hydration Injection Masque. 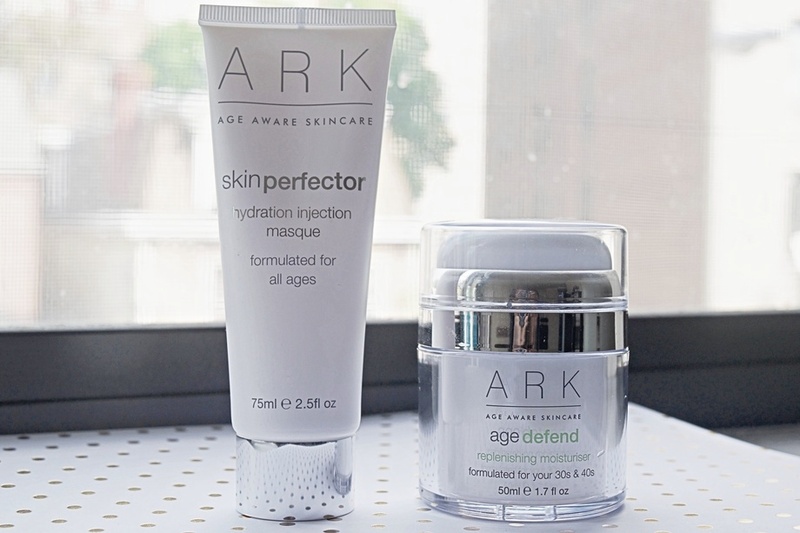 The second product I use from this skincare line is their Ark Skin Perfector ~ Hydration Injection Masque. This mask is an intensive multivitamin hydration injection masque that quenches my skin and restores vibrancy. This rejuvenating treatment masque is the ideal weekly pick me up for skin which looks tired, stressed and lacking radiance. Ark Hydration Masque contains an encapsulated blend of vitamins for maximum efficacy. **Vitamin A helps to keep skin supple. **Vitamin B5 helps smoothen the skin. **Vitamin E to soothe irritation. **Hyaluronic Acid Booster drenches skin with moisture, providing long lasting protection against water loss. **Sugar Beets and Abyssinian Oil intensely nourish the skin for a plush, luxury skin. Skin looks rested, restored and smooth with a healthy and youthful glow. I use the Ark Hydration Masque once or twice a week depending on how busy my week is going. I apply a thin layer to my cleansed face, avoiding the eye area. I leave it on my skin for 10 minutes. I wash it off with lukewarm water and pat dry. I follow with my replenishing moisturizer. Whenever I need an intensive treatment, I leave the masque on overnight. My skin looks restored, rested and healthy. What are your favorite Spring skincare products? I have never heard of this brand, but it looks and sounds great! I love this brand. They have great products.